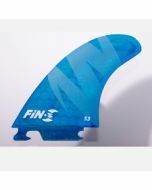 Fin-S S5 Thruster Fin Set. 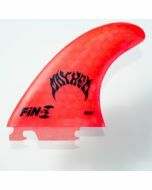 The Fin-S S5 thruster fin set has excellent speed and drive for medium sized surfers. This thruster is great in all conditions. 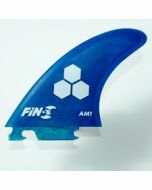 The S-Series fins were developed and tested by Fin-S. All of the S-Series line of fins contain the unique translucent Fin-S spring graphic on the side fins. It's subtle, yet a clean new look on the fins.